The beautiful weather outdoors makes the struggle for employees’ attention indoors that much harder. You may already embrace Casual Fridays during the colder months, but the summer is often the hardest season to keep productivity up. Having fun is normally something associated with not being at the work. But work should be fun! If you want to brighten up your workdays this summer, getting the whole team involved is one of the easiest ways to do so. Summer team building is an excellent way to boost productivity and keep employees happy. 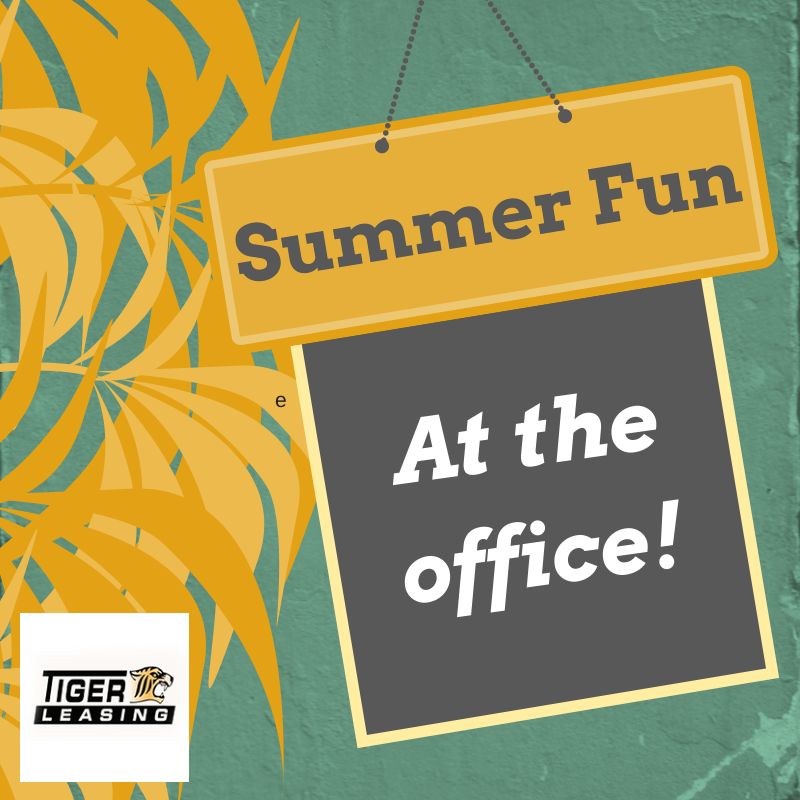 We have created a list of some summer activities and team building exercises that are sure to brighten your office. A long week answering calls, typing reports or closing sales should be rewarded! Check your schedule and see if your company can take off a few sunny Fridays off to have a company picnic or a company grill out. Ask your team to bring their favorite dish to pass. Collect interesting facts about each of your employees. Create a trivia game where employees have to answer these questions by talking to one another. This is a great way to get employees interacting and learning about each other. Visit a theme park, tailgate at a baseball game or have a golf outing! People often are stressed and more quiet in their office chair. Get them outside their cubical and have fun. Have your team volunteer during the work week. For example, everyone could donate blood and have a cookie break after! Form office teams and have each team work towards a goal. At the end of the week the team with the most sales (for example) wins summer tickets to events such as concerts, fairs, sporting events or waterparks. After lunchtime allow your team to walk around the neighborhood and enjoy the fresh warm air. Not only can employees enjoy the sun, but they can chat with other colleagues, clear their mind and get some exercise! A company blog is a great way to share your exciting summer plans with your office. Have everyone update the blog once a month and share their summer adventures. OK, beach meaning your home, but allowing employees to work from home will greatly improve that office haze. Answering emails or creating reports seem less like work when you can do it in your swimsuit! These are just a few ideas that bring the summer fun to the office. Remember team building and fun at work at all very important, but make sure to stay focused on your company’s goals. This summer try to let the light shine in and watch how happy your employees become!